Hey! 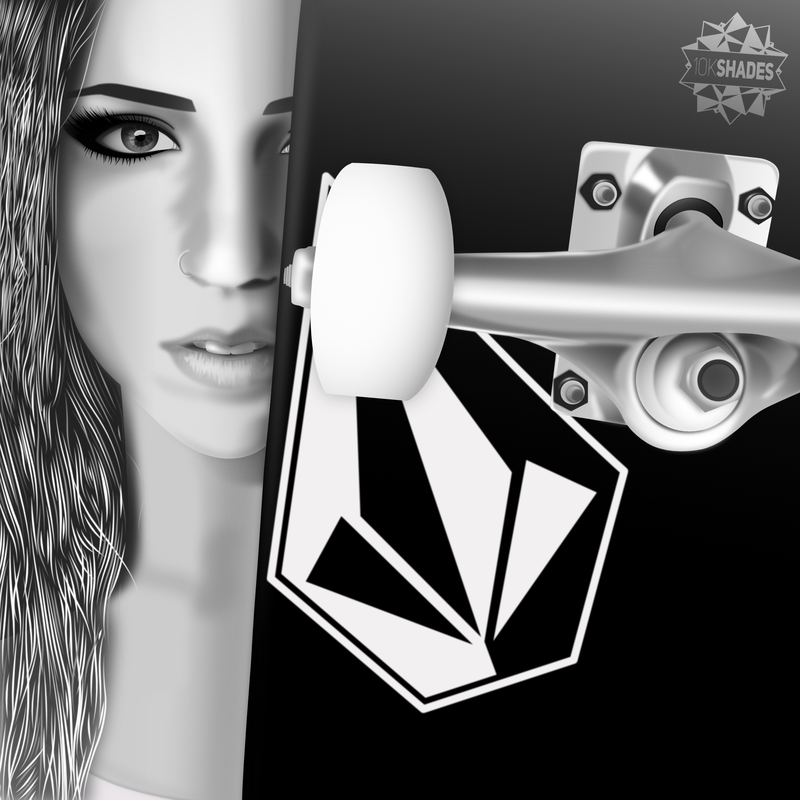 This is my first upload here, I just wanted to share a grayscale illustration of the beautiful skater Leticia Bufoni. 100% made in Affinity Designer, awesome software! Great work. Her eye and the metallic parts of the skate are impressive. Great shading there. Maybe the scale of the skate is a little big in relation to her face but that's something easily adjustable. Great shading - the metal looks fantastic. The lips and eyes look great as well. As a huge compliment I can say that when I saw the thumbnail (before clicking to expand it) I thought this was a photo! My first, and instant, reaction to just the thumbnail was, "odd composition, she must be holding that skateboard at arms length in front of her (to account for the scale)". But, still, I was thinking it was a photo. Only after expanding it did I see that it wasn't. Great work! Thank you for posting it here. So very skilfully done indeed that I may need to pick your brain regarding how you got the metal to look so realistic - when I get a bit farther along in my current project/learning experience. My first, and instant, reaction to just the thumbnail was, "odd composition, she must be holding that skateboard at arms length in front of here (to account for the scale)". But, still, I was thinking it was a photo. Only after expanding it did I see that it wasn't. Wow, thanks for the multiple compliments! I appreciate that a lot, it's a morale booster haha :D So I'll try to explain how I got the metal effect: just add some background layers for darker shades (gradients of 2 or 3 different grays look great) and then add brighter (white, light gray) shapes for the shiny effect. The trick is to add a gaussian blur effect on the latter, so the colors display in a smooth, realistic metal effect. So basically it was made using the following tools: pen, gradient, transparency (to make it even smoother) and layer fx, nothing else. I know it seems a bit confusing but after all it isn't, it's just a matter of patience and getting the right gradients/shades in the right place.